Qigong for health & longevity. Tai Chi is a powerful way to build a healthy body & a strong mind. It will make you feel better, more relaxed and give you more energy. Tai Chi can also be a very effective way to improve conditions such as Arthritis, Asthma, Bone Loss, Heart Disease, High Blood Pressure, Fibromyalgia, Multiple Sclerosis, Parkinson’s Disease, Sleeping disorders, Chronic Pain and many others. The key to achieving the amazing health benefits of Tai Chi is quality instruction from a knowledgeable teacher and a few minutes of practice per day. It is also important to know that the Tai Chi moves by themselves do not actually deliver the health benefits of Tai Chi unless they are combined with an understanding of breath & internal body states. Unfortunately the vast majority of Tai Chi instructors would rather focus on teaching dozens or even hundreds of moves without ever teaching the internal principles that develop deep & long lasting health benefits. 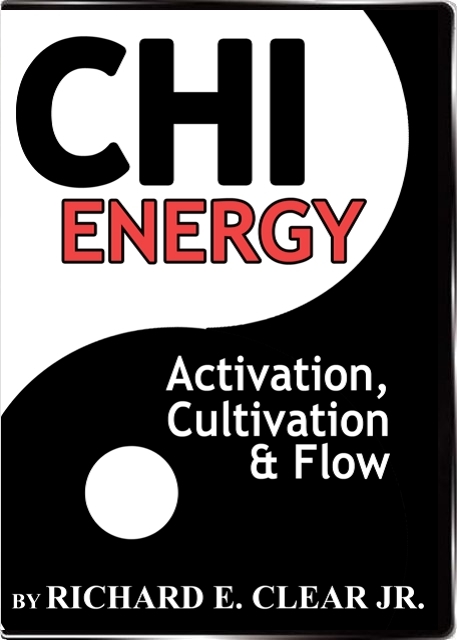 Chi Energy Healing DVD Package. For the last 40 years Sigung Clear has extensively trained with energy masters from all over the world. His training includes over 15 different styles of Qigong and Tai Chi including the Tibetan Mystery School of Energy with a specialization in Ilmu the Secret Science of the Mind and Breath. 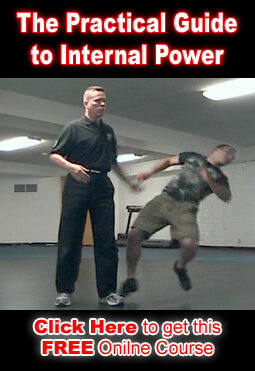 He currently teaches and certifies energy healers in Fa Kung Energy Transmission. There are many “levels” of healing information that we have and teach. Before you will be personally capable of learning the next level of material, you must be proficient in the previous levels. This is not a matter of tradition, but rather an organic prerequisite. 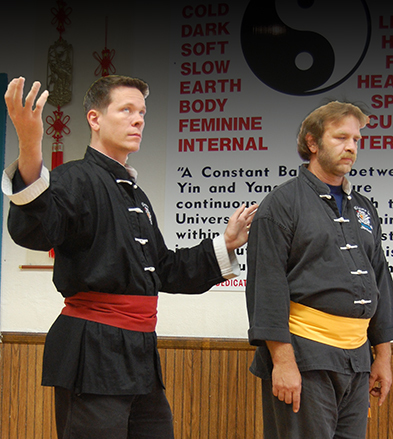 If you are interested in learning the higher levels of our healing program, you should make sure that you are fully proficient in this level of Fa Kung. Ideally you would attend one of our live workshops that we host every April and November. By attending the workshop in person you will get immediate feedback and corrections as well as a lot of hands on practice. Whether or not you choose to attend the live events, you must send us documentation of a minimum of 20 Fa Kung healings that you have performed before moving on to the next level of our healing material. I have Crohn’s and suffer from multiple symptoms. One is swelling in different areas of the body. It can get so severe that I am unable to form a fist. I have been practicing Tai Chi here in Florida with Daniel Stringer the past two months and have been amazed at the results. Recently I was having a major issue with my hand. Daniel was working through Clear’s method of energy flow and energy gates. At the end of this session, the swelling and pain in my hand was gone. I now practice as much as possible in order to keep this great feeling going. Thanks to Clear’s method and Daniel, I feel I may have found an alternative to store bought pain relief. Im 40 years male and I been dealing with a lot of chi issues last couple ofyears.This start due to stress in my life and not spiritual work and problems wont go away.I feel energy stuck in my heart centre and also a lot in my head.I feel dissines and truble walking most of times.I feel energy sometimes running thry my body.Please advise me what to do help myself with these issues. 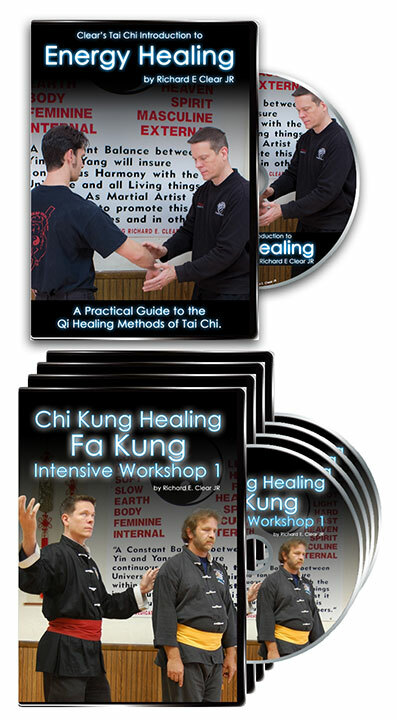 If you feel energy blockages, the Fa Kung Healing Package would be a good place to start. The Level 1 Tai Chi package would be another great way to go. However you choose to proceed, ultimately you need training in how to move the energy around inside of yourself, and how to relax it out and down through you or disperse it out in some way. Either of these two programs will have excellent methods for helping with the issue you described. 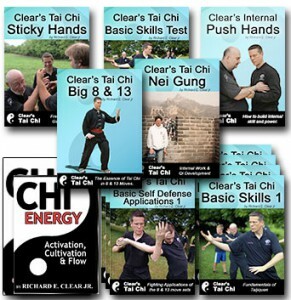 Get access to this 50 minute seminar on Combat Tai Chi when you join now.